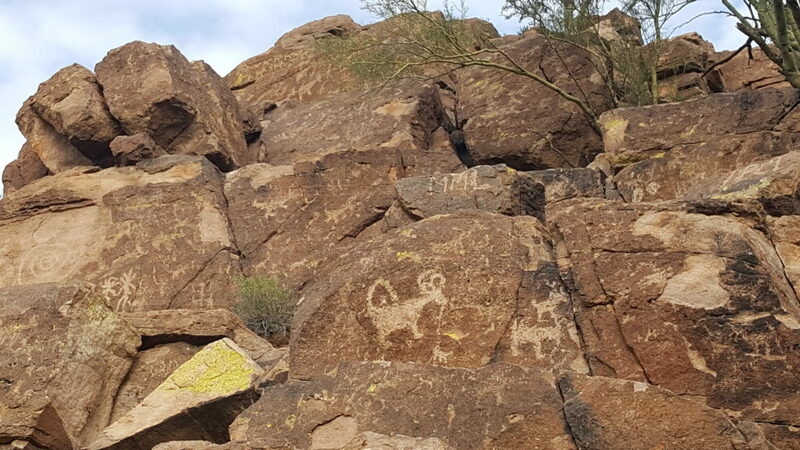 There is a horse trail located in the Saguaro National Park where you can find petroglyphs along the rocky walls. 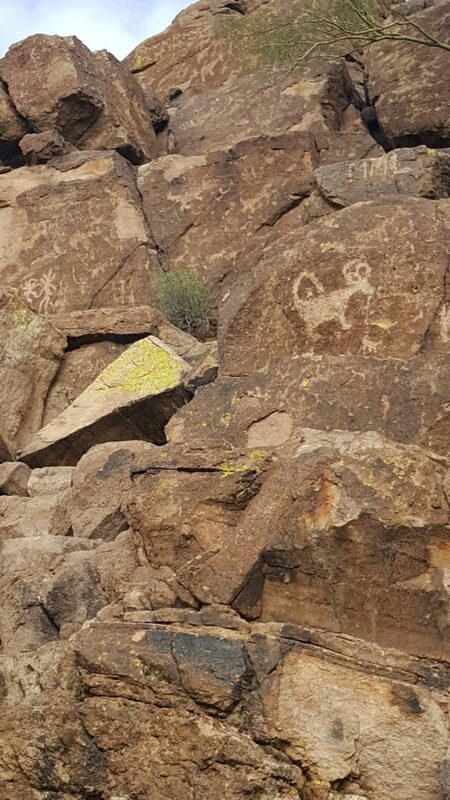 There is a small non marked parking area west of the trail head where upon parking is a short 5 minute walk you will come across the stone writings. I circled in purple the area where these photos were taken. This trail is perfect for a family as it is wide and sandy. 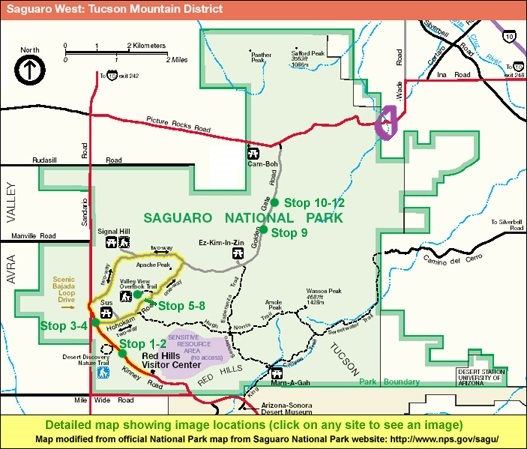 This is a primitive area so be mindful of snakes and other wild animals.